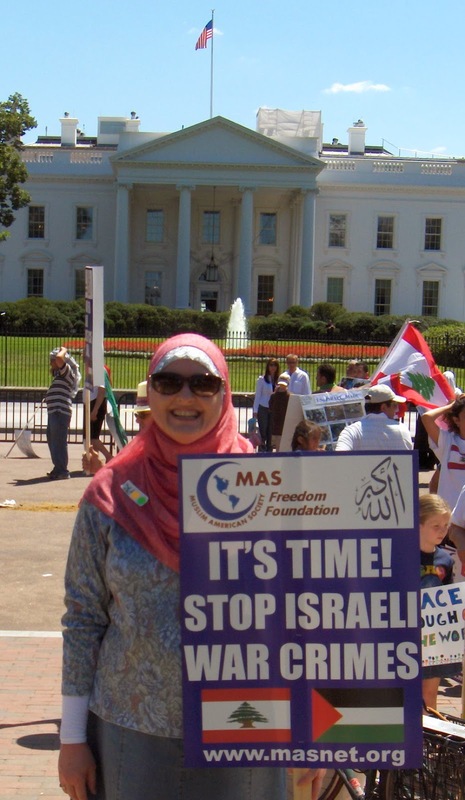 By all accounts from the photos circulating throughout the internet on Saturday, August 2, it appeared that thousands turned out in front of the White House in Washington, D.C., to protest the 2014 Israeli massacre on the Gaza Strip. While the event played out live on social media, I cross-published numerous items shared via Twitter to my Facebook profile and page. Failing to incorporate the #GazaUnderAttack hashtag essentially minimized the event's punch, so-to-speak, as far social media goes - and it should be well enough known by now that social media is not only the primary source of news in this day and age, but the fastest way to spread news, particularly via Twitter. Incidentally, for those unaware, Facebook also this past year, incorporated use of the hashtag as a search option. Another observation about the August 2 event in D.C. is that, it struck me as somehow anti-climatic coming so far behind the rest of the world; even the rest of the nation! 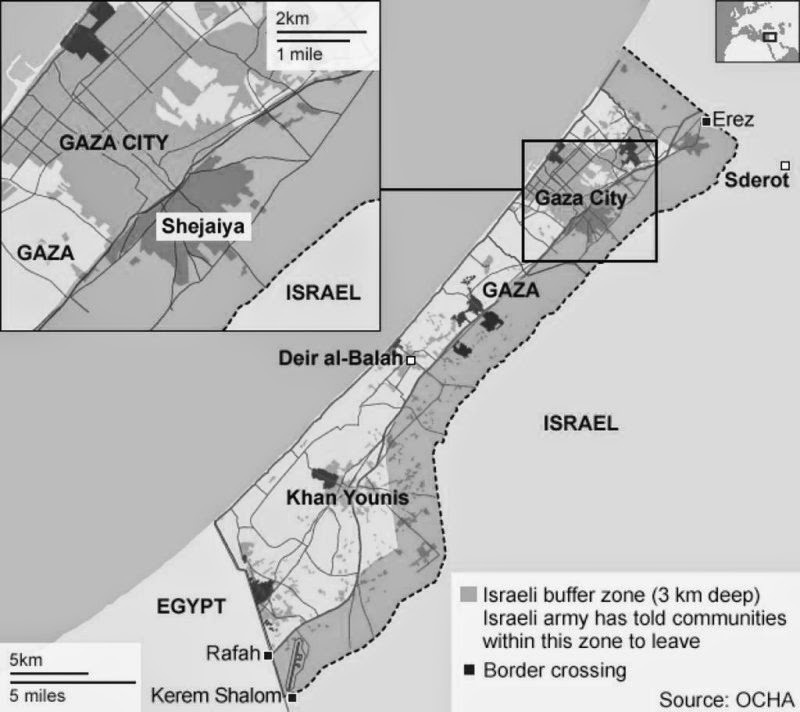 Washington, D.C., home of the White House, didn't join the rest of the world in supporting the Palestinian people against the Israeli massacre until the same day that the Israeli's began to announce they were finally on the verge of pulling out; having fulfilled their stated mission to destroy the Hamas tunnel system, while extending the buffer zone by another three kilometers - virtually shrinking the inhabitable land mass of the Gaza Strip by 40%?! How D.C. fell so far behind in the race against time is, sadly, unfathomable. 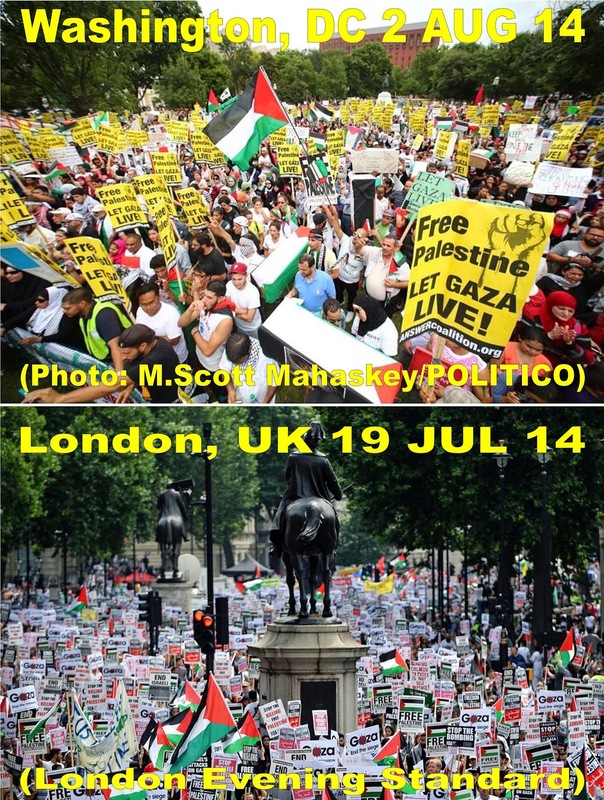 London had an absolutely smashing protest on July 19 (one of many), that demonstrated not only effectiveness in numbers, but, masha'Allah, gobsmacked the world with its photos highlighting (circa D.C. 2006 pictured below), the effectiveness of posters and signs. Not only did Londoners appear as a sea of people, they were a wall-to-wall mass of collective voice through the signs that almost each and every protester carried. London rocked the poster in 2014! I scoured the net for photos out of D.C. on August 2 that even began to match what happened in London, praying for anything that could effectively wipe the egg off our faces in D.C. Finally, I found a slideshow of photos at POLITICO with a single shot by a fantastic photographer that saved the day. In fact, I created an image file depicting the D.C. and London demos together, merely to set out for the record, that D.C. had done its best to give them a run for their money; despite coming out of the gate in nearly last place! It is clear that Londoner's stepped up to the plate to finance their protest, as evidenced by the sea of posters and signs that would otherwise not have materialized. To be clear; I am not disparaging the efforts of a single person who participated in the August 2 D.C. Rally. 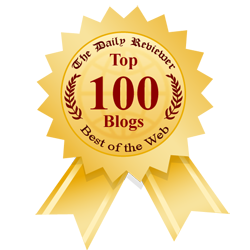 And kudos to the ever present A.N.S.W.E.R. Coalition, whose voice is visible from demonstration to demonstration across the nation whenever they converge for a worthy cause, but the last time I checked, A.N.S.W.E.R. is not representative of the Muslim voice. Where in the D.C. photos for the August 2 Rally do you see the Muslim voice? The "answer", no pun intended, is that it hasn't been visible since the National March on Washington in 2006; and for the record, I personally designed the posters used in that campaign. 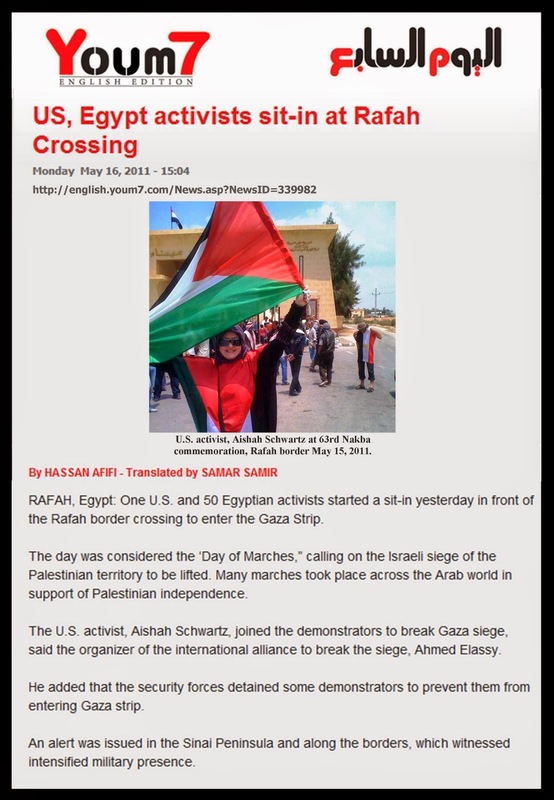 So for anyone who wants to say it's 'easy to complain' when you didn't lift a finger of support, know this: I have been standing in solidarity with the Palestinian cause from 2006 through 2014, not only spending five years supporting it through my work in Washington, D.C., but also in front of the Israeli Embassy in Egypt, at the Rafah border, as a member of a convoy in 2009 (Arabic media), where I participated in a march with Palestinians in Gaza to the Erez border crossing in honor of the martyrs of Cast Iron Lead, and, further, returning again in 2012 to deliver supplies and medical equipment through the Rafah border, that we had no idea would be needed the very next day as the Israeli's launched Pillar of Cloud. 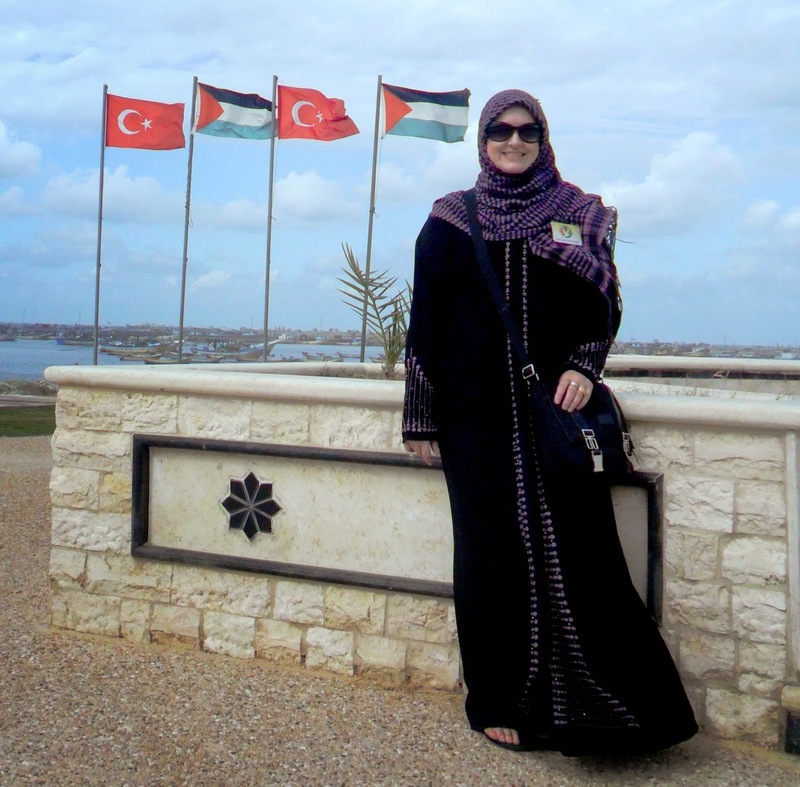 On a personal level, I was asked a few times why I had not published anything this past month regarding the 2014 massacre on Gaza, being that I am known as a writer in addition to being an activist. Well, I decided to do something different, being that from 2006 through 2014 boots-on-the-ground activism has yet to achieve an end to the siege and embargo on Gaza, or change in U.S. foreign policy, among other things. 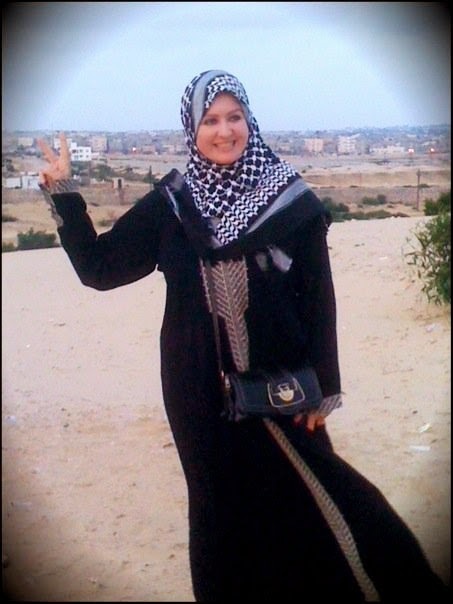 So while some may refer to it as "arm-chair activism", while keeping up with the pace of events via social media, sharing what I could in order to raise awareness, I would have spent whatever second of the day or night required of me, throughout Ramadan and Eid, making myself available to my valiantly brave sister and friend, Hanaa, in Gaza City, her family and a handful of others that I met along the way. 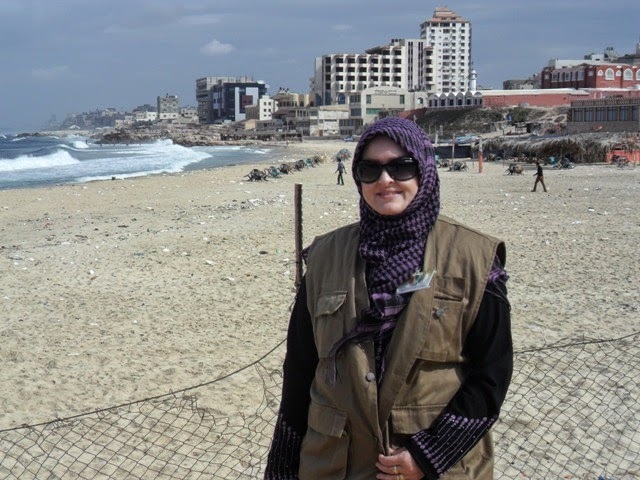 No, I didn't write any articles about the events of this past month, I chose, instead, to make a difference in the best way I felt was humanly possible - from the other side of the Rafah border here in Egypt - to offer whatever hope I could to the Palestinians in Gaza with whom I hold a personal relationship. 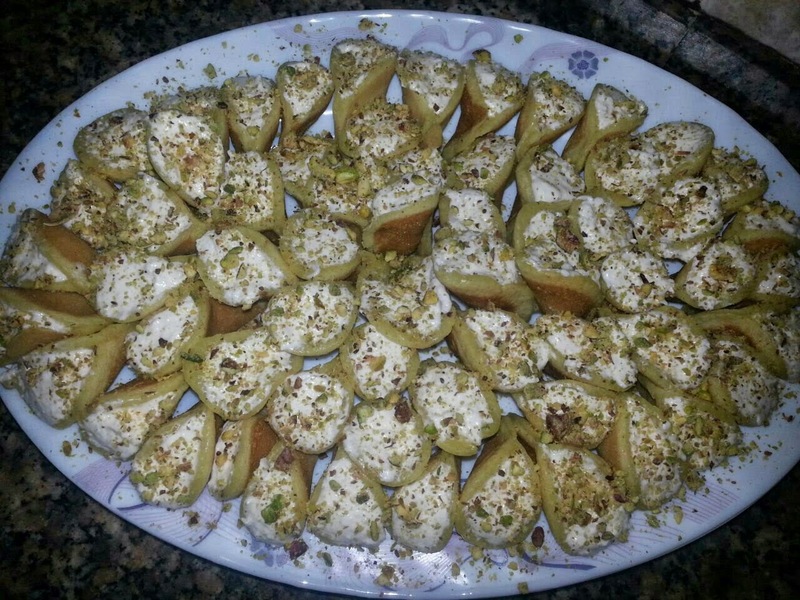 In the end, I may not have written anything other than this post for public consumption, but between myself and Hanaa, there may very well be a book. And I would not have changed a minute of the time spent with any of my friends in Gaza for anything other than - peace and reconciliation. I, with countless others, spent all of Ramadan praying for the safety of my friends in Gaza - all Palestinians in Gaza - and, of course, the safety of oppressed people the world-over. By the grace of Allah subhanahu wa ta'ala, despite the fact that homes of my friends were in direct jeopardy not once, but twice when word arrived that nearby buildings had been targeted for destruction, Allah Akbar, they were spared. Not one from them had fallen in harm's way - unless, of course, you count the undeniable psychological trauma of fearing every waking minute for a solid month - for your life. Reading from Hanaa, and other friends in Gaza, about how much my steadfast presence in their mobiles via SMS, Viber, WhatsApp and Facebook meant to them, touched my heart like nothing you could imagine - outside of being able to somehow lift them from their homes to sure safety. In the early morning hours of August 3, Day 27, my friends in Gaza reported that it had been a somewhat quieter night than the seemingly endless nights previous; but before I could post this and finally sleep myself, I learned that the quiet had been broken and Gazans were awakening to the tragically familiar sound of rocket fire and booms. There is still so much work ahead, and as of the time of this post, with 1,730 martyred and 9,100 injured; suffering that nothing but their steadfast faith in Allah subhanahu wa ta'ala will ease. Once the final flashes of light in the night sky from rocket fire cease, insha'Allah the Palestinians will do what they've always done; rise again. 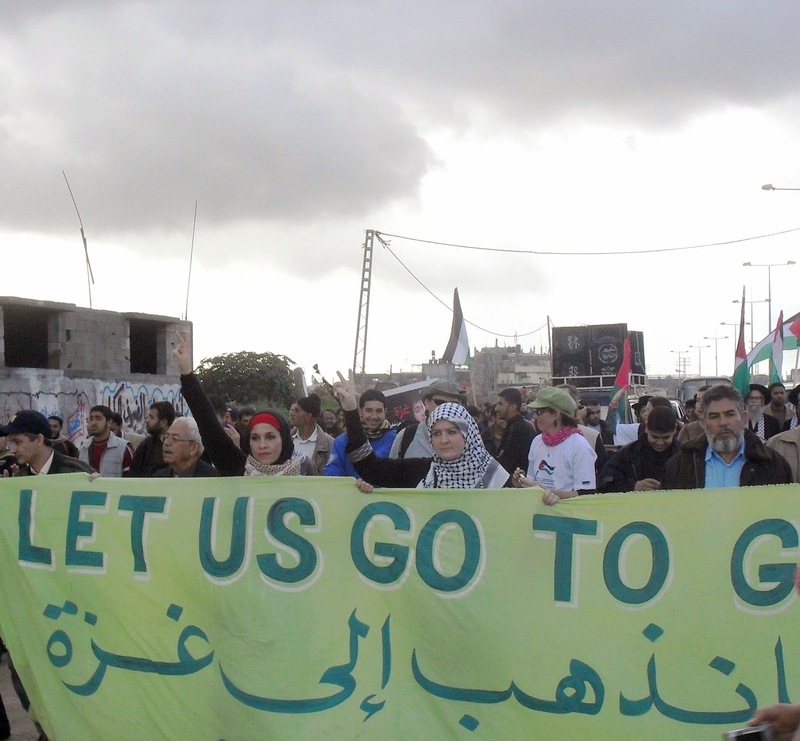 The future is still uncertain for the Gaza Strip and its inhabitants, so our continued duas and collective support remain essential. I will close with an excerpt from one of my favorite hadith from Sahih Bukhari, Book 76, Number 509: "Whosoever shows enmity to someone devoted to Me, I shall be at war with him. My servant draws not near to Me with anything more loved by Me than the religious duties I have enjoined upon him, and My servant continues to draw near to Me with supererogatory works so that I shall love him. When I love him I am his hearing with which he hears, his seeing with which he sees, his hand with which he strikes and his foot with which he walks." One of the other things I did with Hanaa during Ramadan, was take her along with me on a journey through photography. 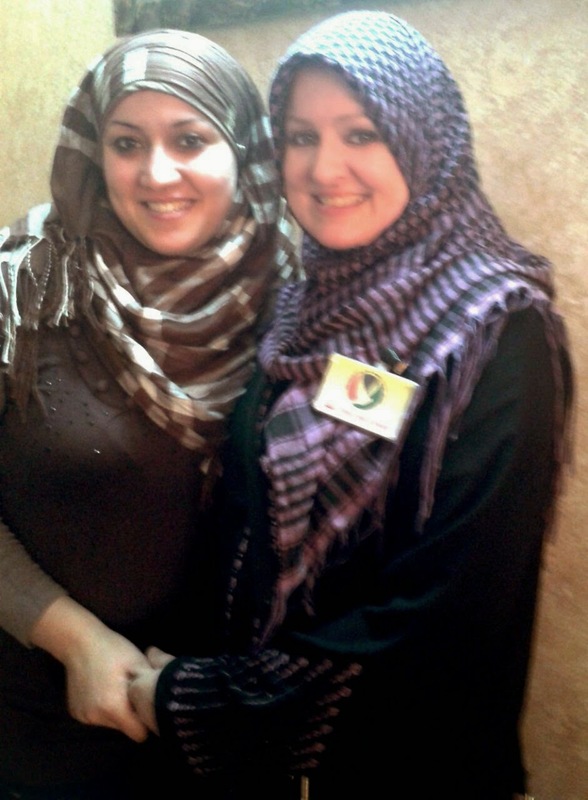 Hanna wasn't able to leave her home in Ramadan to visit friends, share iftars, attend taraweeh prayers, nothing. Her world was no longer merely an open-air prison, her prison had become the family's home. They spent the days struggling to endure not only the endless booms from outside the windows of their home, the trembling floors and ceilings, but living on a schedule of sporadic blackout periods that sometimes lasted 12-hours or more. Water and groceries, scratch cards for mobiles and fuel for the family's generator to keep batteries charged and electricity running for short periods, became the routine of their days. Whereas, on an ordinary day there would be things like, water for a shower, jobs to go to, markets to visit, friends to see, and - being able to sleep through the night. So, as a diversion, throughout July, I shared with Hanaa and her family, photo albums of Aishah's Journey through Ramadan and Eid 2014.